The upcoming season of Top Chef has been filming in DC and the publicity blitz for the June 16 premiere is about to start. The list of cheftestants has been released and one of them is Baltimore restaurateur Timothy Dean. 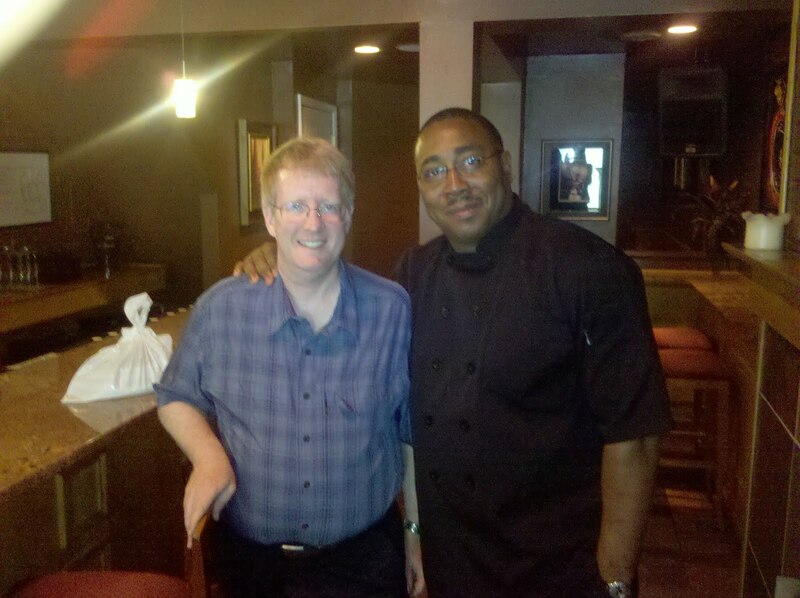 I first went to his place in Baltimore several years ago for Mothers Day when it was known as Timothy Dean Bistro. Then it featured gourmet southern and soul food. 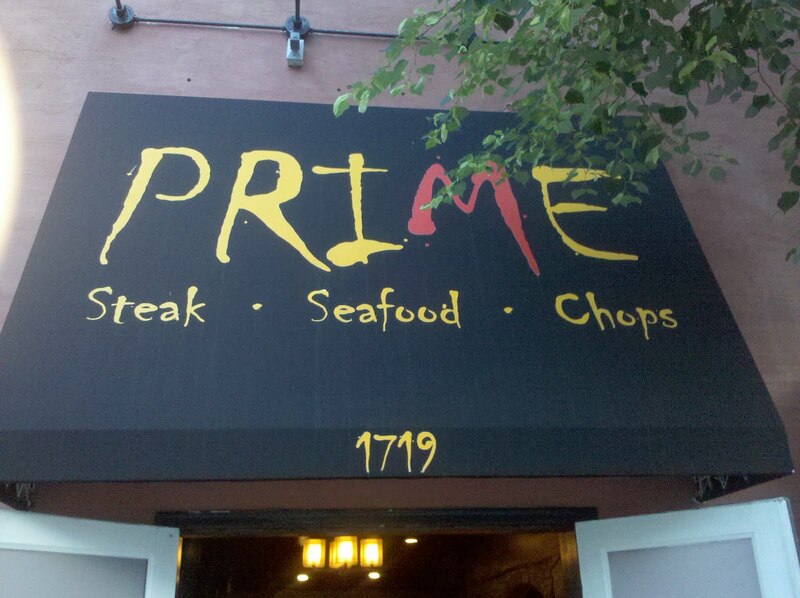 Later it was an ill-fated night club and now it has re-opened as Prime with the specialty being steaks and chops. But there is still a lot of soul in the kitchen. The catfish was lightly breaded and served on top of an enormous bed of grits. I got the filet mignon and it was butter-tender on the inside with a fierce herb-encrusted sear on it. As good as that was, the macaroni and cheese side dish (unlike chain steakhouses, each entree comes with one side dish) was the real surprise. It looked fairly mundane, but it was rich and creamy beyond words. Almost as rich as the corn soup which had huge lumps of crabmeat in it. On an early Sunday evening, the place only had a few customers so when Timothy Dean overheard me lamenting that my water was empty he came out and set it right. That also gave me the opportunity to buttonhole him a little about the Top Chef process. You do not apply for Top Chef; Top Chef finds you. But beyond that there are a lot of hoops to jump through before you get on the air. As Eli Kirshtein (the evil gnome) from last season told me when we ate at Eno in Atlanta (I am such a food-whore name dropper, aren't I? ), being on Top Chef can easily double your business. Dean told me that he was warning his staff to prepare for the onslaught. In fact, the only snag in my visit was trying to reach someone for a reservation. As I mentioned, this particular night showing up without a reservation was not a problem, but I expect it soon will be. 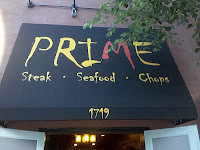 Prime is in Fell's Point which is better known for Bertha and her mussels than for fine dining. Furthermore, it is in the northern end just off Broadway on Eastern Avenue in an area more known for its tacquerias and take-out chinese joints than gourmet steakhouses. But it's just a short walk from the waterfront and offers valet service, always a plus in parking space deprived Fell's Point. Part of the fun of reality shows is picking a contestant and cheering for them. As a Baltimoron, I am going to be a big-time homer and form Team Dean. Not only is he the local hero, but his cooking has the chops to go over big at the judge's table.